We agree, senator. 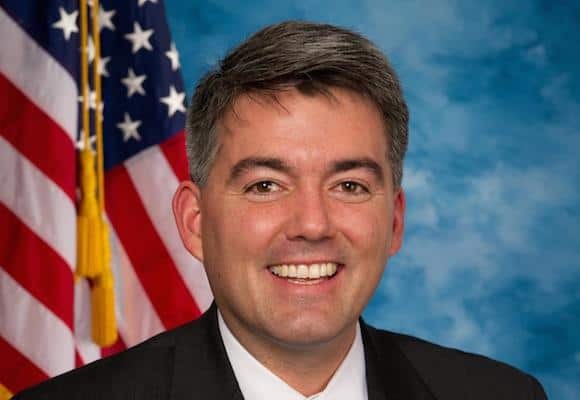 But Gardner’s dismay over the way his Republican colleagues conceal the truth glosses over the fact that their plan will strip millions of their insurance, and that he is part of the process. We know, and Gardner knows, that more than a quarter million of his Colorado constituents will lose health care if the House version of the bill goes through. The Senate repeal makes similar cuts and slashes Medicaid even more deeply. Colorado has benefited dramatically from its expansion of Medicaid – the uninsured rate has fallen by forty percent in the state since 2013, with more than half a million gaining coverage. As a result, the consequences of the planned GOP cuts will be deeply felt. Gardner is a United States senator. He’s a powerful politician, not an ordinary Coloradan, many of whom feel desperate, afraid, and outraged as the Senate barrels forward with this cruel and reckless legislation. Gardner has the power to show us more than dismay. He can declare his opposition to this bill. Nothing is stopping him from telling the leaders of his party that he won’t stand for this undermining of democracy. If he cared about his constituents, he’d do everything within his power to protect them and the care they need. Here are some of the voices of Colorado voters who stand to lose everything if the health care repeal goes through. My daughter was in a car accident two years ago…leaving her paralyzed from the chest down. She is alive today because of Medicaid. It paid her hospital bills, and has been paying for her medical supplies and prescription meds.She relies on the meds and the catheters to continue to keep her alive. She only gets $730/month from Social Security/Disability. That isn’t enough to pay rent and buy food, let alone pay for her medical needs. PLEASE DO NOT take away her Medicaid. Her life depends on it! I have a blood clotting problem, had a stroke in 2010 which led to a job and insurance loss in 2013. The ACA made insurance possible, despite the pre-existing conditions. I didn’t have any type of insurance before ACA because I had back issues, which was considered a pre-existing condition. I didn’t make enough in my job to even come close to paying the monthly fee of $500 or more. To be honest, I had thoughts of suicide while I was in so much pain because I saw no way out – until the ACA. This lasted for 10 years! In the end, back surgery was my only option, and I was finally able to get that surgery after the ACA! I am still on Medicaid now because my job doesn’t offer health coverage. Without Medicaid and Planned Parenthood, I would not be able to get the regular pap smears, breast exams, overall exams needed to stay healthy. My brother had throat cancer when he was 59. Now he is 63 had had a stroke and is paralyzed and speaks with cn electro larynx. He is cognizant but lives in a nursing home. He has been on Medicaid for 10 years. His life is compromised daily. If he lost this benefi – he always worked – his life would be forfeit. This is real life that the Republicans don’t seem to see or care about. I was diagnosed with MS in 2005. The medication that I am on to try to maintain my health costs over $6,000 a month. That does not include any follow-up care any other sort of medical support. I am currently on Colorado Medicaid. There is no way I could take care of my health without Colorado Medicaid. I would not be able to have the medication that I need I would not be able to see my neurologist. I would not be able to maintain my health or my life. Colorado Medicaid is critical to my existence. Recently when my husband was laid off from his job in the oil industry after 23 years, he found himself with two options: unaffordable COBRA or affordable care provided by the ACA. The ACA provided flexible options that met his needs for the few months it took him to find a new job; without it, he would’ve had to risk going without health insurance because without a paycheck, COBRA was not an option. Despite working three jobs between the two of us we still can’t afford “regular” insurance. Having Medicaid has enabled me to get treatment for my eye which enabled me to work with less pain and headaches.